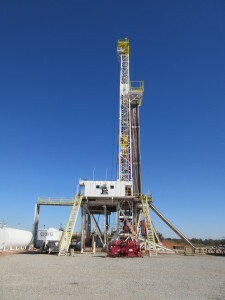 Set United States as your default location. 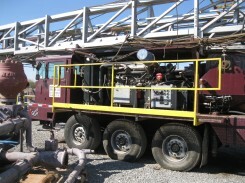 OIME 4000 HP Drawworks • PARCO 154’ x 2,000,000# SHL Mast & 38’ Self-Elevating Substructure • NOV PS2-650/750 TOP DRIVE w/ Sidetracking Sys. 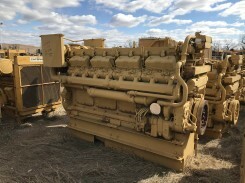 • (4) CAT 3516 / 1500 KW KATO Gen’s • ROSS HILL 1600 4 x 5 SCR • (3) CONT. 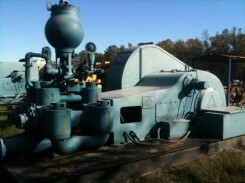 EMSCO FC-1600 (7500PSI) Triplex Pumps, (1) CONT. 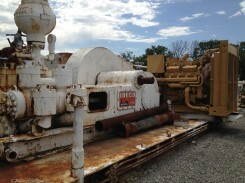 EMSCO F-1300 (7500PSI) Triplex Pump p/b CAT 3512HD • IDECO 49.5 RT , AOT Phantom Rotating Mouse Hole • CAMERON TYPE U 13-5/8” x 15,000 PSI DBL & SNGL Ram BOP’s, SHAFFER SPHERICAL 13-5/8” x 10,000 PSI Annular • (2) KOOMEY 10 Station Closing Units • (4) SHAFFER 15,000 PSI Choke • (4) Pit 2500 BBL Mud System w/ (6) DERRICK FLC-514 SuperG Shakers • 132 Ton BOP Handling System • (2) 500 BBL Diesel Tanks, (4) 500 BBL Water Tanks • (2) 12 Man Bunkhouses & (1) Rig Managers Qtrs. 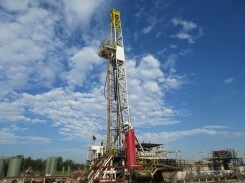 Ready to go to Work!!! 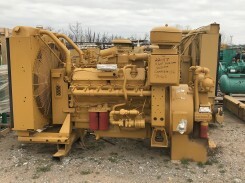 (2) Cat C 15s / 455kw Gens. 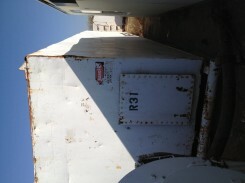 National 110UE Drawworks for Sale – $87,500 ea.- Ready to Go! 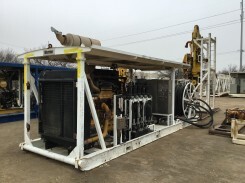 These Drawworks are Ready to Go to Work! 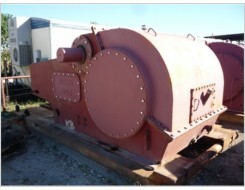 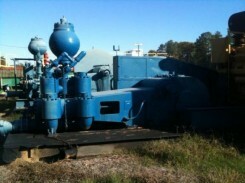 National 14P-220 Triplex Mud Pumps Re-Built For Sale- $395,000 – $415,000. 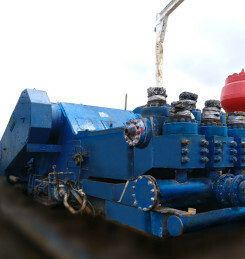 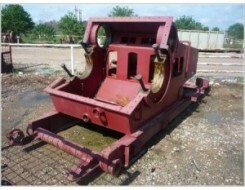 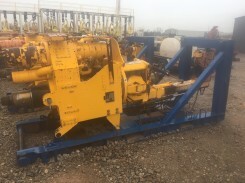 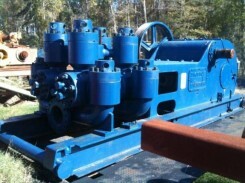 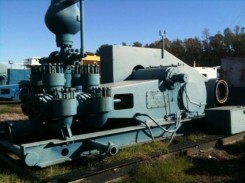 (3) National 14P-220 Triplex Mud Pumps – $700,000 – $750,000ea. 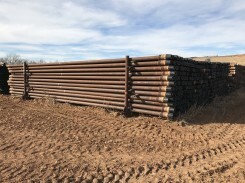 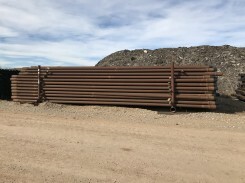 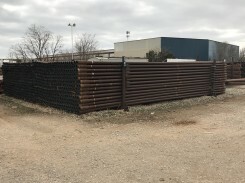 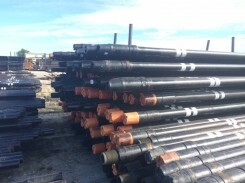 GRADE S135 DRILL PIPE WITH HT 55-375 PIN 7.125” OD x 4” ID 10” TONG SPACEWITH NO HARD BANDING & WITH H- SERIES BENCHMARKS AND HT 55-375 BOX 7.125 OD x 4” ID 15” TONG SPACE WITH TCS Ti HARDBANDING & WITH H-SERIES BENCHMARKS. 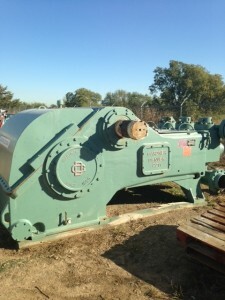 Gardner Denver PZ9 Triplex Mudpump for Sale – Cat Power! 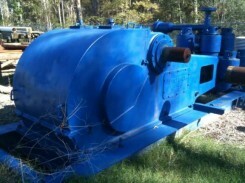 1600hp Gardner Denver PZ 11 Triplex Mudpump for Sale – New! 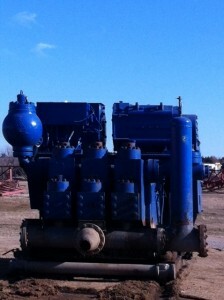 New 1600hp Gardner Denver PZ11 Triplex Mudpump for Sale! 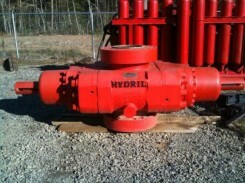 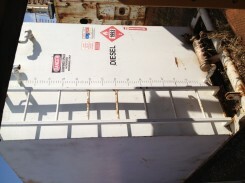 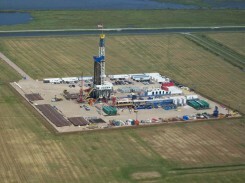 Oilwell 1400hp Triplex Mudpump for Sale! 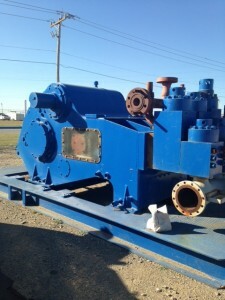 The pumps have been torn apart and all parts inspected. 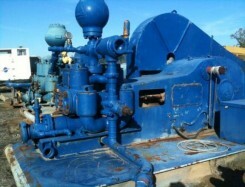 The pumps are available in ‘as is condition’ or we can rebuild the pumps to match ant customer specifications. 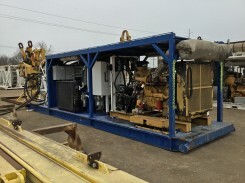 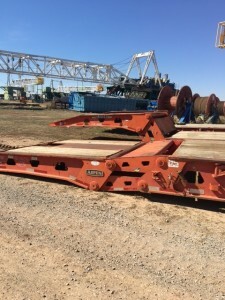 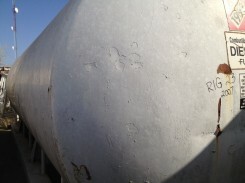 We also have T-1300′s and T-1600′s available for rebuild. 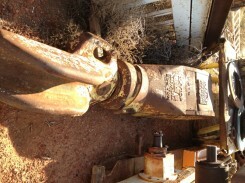 New packing seals & bearings. 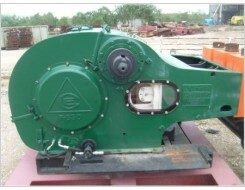 critical components / critical areas in Pump Frame. 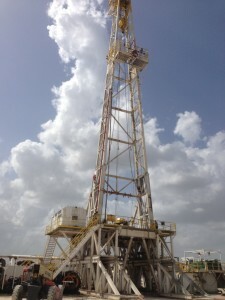 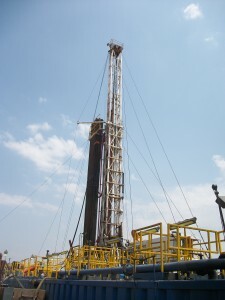 repaired to the highest quality oilfield standards. 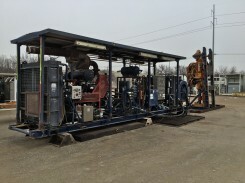 Pump was reassembled and all alignment checks performed. 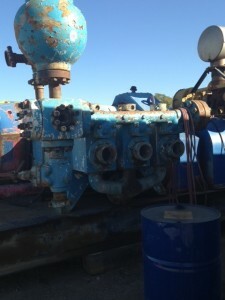 New Fluid Modules & Valve Seats. 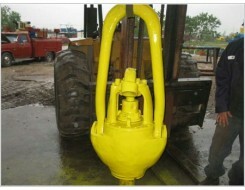 Pump to be blasted / painted inside and out. 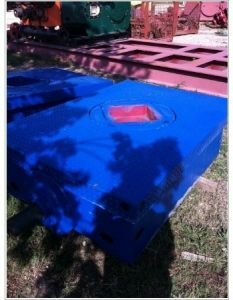 Top Coat to be Urethane to Customer’s Color Specification. 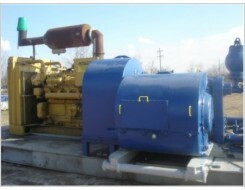 Pumps can be unitized as per customer specifications. 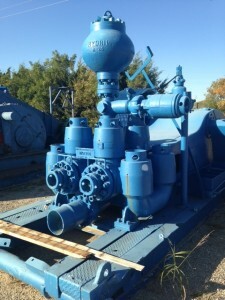 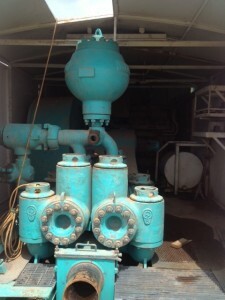 Emsco F 500 Triplex Mud Pump for Sale – Unitized! 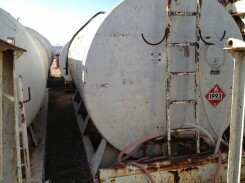 We have two USED National 10-P-130′s in our yard. 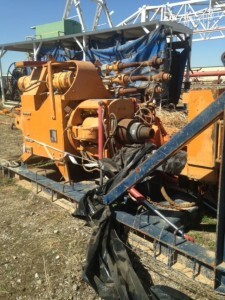 where is as is for $87,500 each OR BEST OFFER. 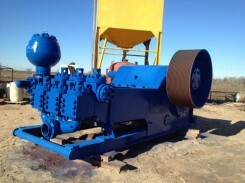 We have TWO Fully Rebuilt AMERICAN Continental Emsco FB-1600s with ALL NEW bearings, gaskets and seals.